entries & exits every time you trade! Interactive 90-minute live coaching webinar shows you step by step exactly what you need to know to get started with tape reading. Ideal for those who are new to tape reading, or who are looking for a better approach to use. You’ll learn dozens of street-savvy, practical no-BS tips you can start using immediately to help your trading. See why the world's professional traders value this skill. Learn how to use tape reading. You'll learn how to significantly improve your time & sales window. Plus, see how to use it with your charts. Discover little-known tape "buying patterns" whenever you read the tape. You'll discover the hidden signals you need to tell you when buying is like to continue. Become aware of red flags like wide spreads, slowdowns and upcoming reversals. You'll value this important tape reading skill, to stay out of trouble. Take your trading skills to the next level with this essential order-flow skill. You'll learn with realtime live market examples -- bring your questions! How Much Better Could You Trade, If You Only Knew How to Use these NEW Tape Reading Patterns with veteran trader Ken Calhoun, a pro who has used tape reading daily for over 19 years? I’ve done thousands of real-money trades using tape reading and am one of the industry’s top experts on the topic. See this early 2002 Active Trader article I wrote, and the MoneyShow interview from over a decade ago. I’m the authority on tape reading for day trading stocks & ETFs. 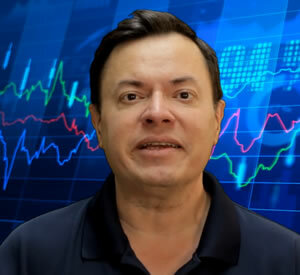 Ken Calhoun, founder of TradeMastery.com is an internationally published day & swing trader. He trains traders on how to trade using breakouts and gaps for swing & intraday real-time trading techniques. A former corporate statistician, quality engineer & consultant to Fortune-500 companies including Ford Motor Company, Rockwell International, Chevron, Sheraton and others, he brings a wealth of real-money trading experience to the markets. He founded the original Daytrading University learning center in 1999 and has taught thousands of active traders how to swing and day trade the markets. 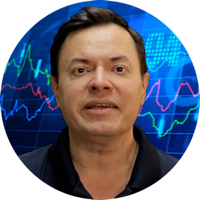 Ken is a UCLA alumnus and has been featured in CBS Marketwatch, MoneyShow, theStreet, Equities, Active Trader, ThinkorSwim, Fidelity, and writes the ‘Trading on Momentum’ monthly column for Technical Analysis of Stocks & Commodities magazine. Click below to enroll today to get access to the upcoming 90-minute premium webinar professional coaching session with Ken, plus high-resolution video download for you to keep. This is an outstanding coaching value for active traders, because you’ll get live-market training by a top industry pro, to help you see exactly how to use the must-know skill of tape reading. QUESTIONS? Click the blue ‘Support’ tab at bottom left of the site, or contact us here.